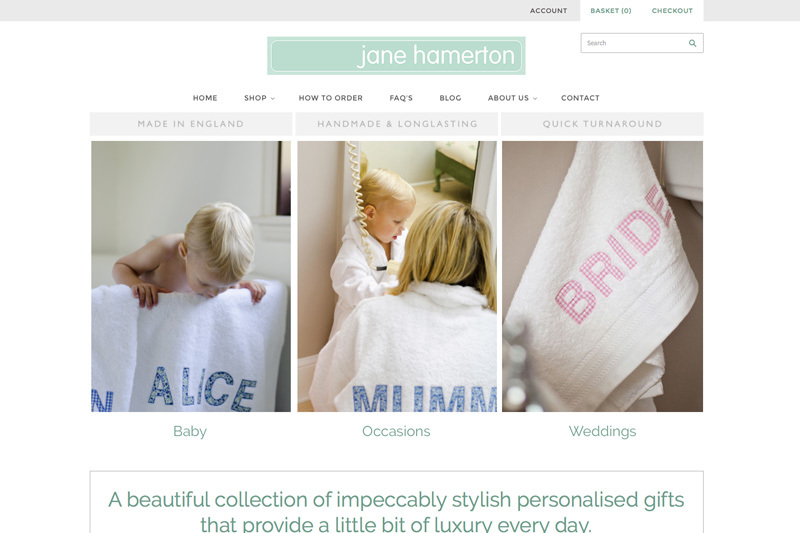 Jane Hamerton has been making beautiful, hand-finished personalised gifts for nearly twenty-five years and has a loyal and rapidly growing customer base, thanks largely to her outstanding customer service and obsession with quality. 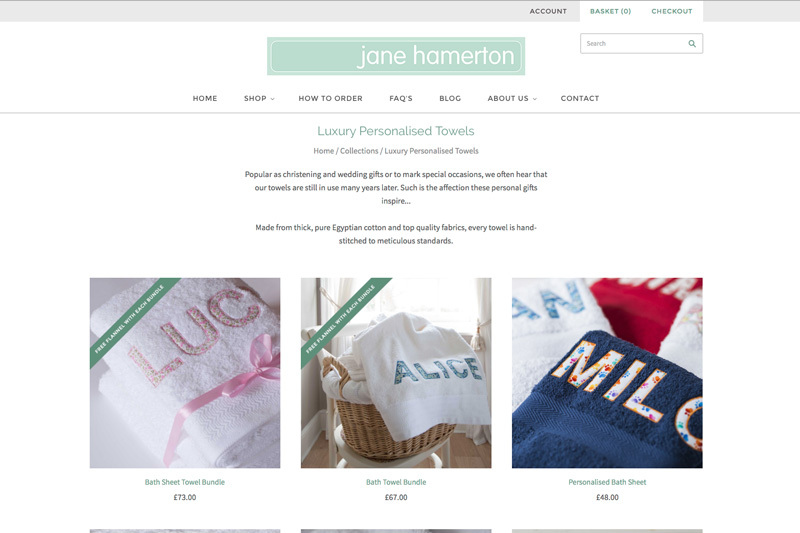 The product range includes personalised towels, bath robes and baby shawls, or as Jane describes it, “a little touch of luxury every day”. Jane came to us in need of a new e-commerce website. Having had an unsuccessful experience with her previous website provider, whereby her customers could not even place an order online, Jane’s near legendary attention to detail went into overdrive with this project. She was understandably determined to not make same mistake twice. However, the Silver Monkey team was able to provide reassurance every step of the way and deliver a stunning and user-friendly e-commerce website that works perfectly and gives Jane the flexibility she needs to manage her store behind the scenes. 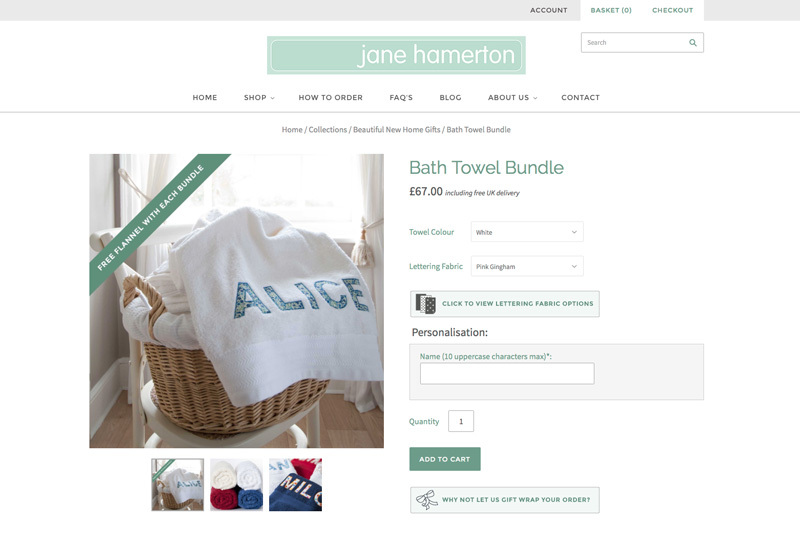 The Jane Hamerton Collection is a range of personalised hand-finished gifts that are made to be treasured.